You are currently browsing the archives for the tag 'DG SANTA CLAUS sunglasses'. Is Christmas Really Over? Not for Me! Christmas is over but let’s agree on extending the holiday festivities a little longer. Here is my reason! I am currently in Gstaad and went on a little shopping spree through the picturesque town. 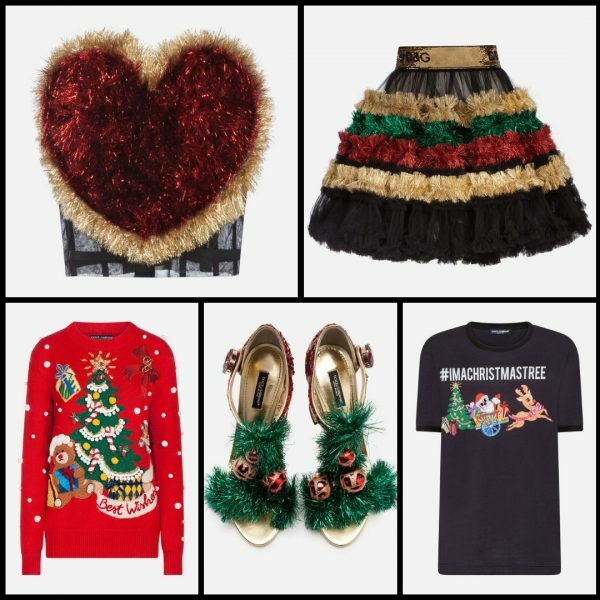 At DOLCE & GABBANA I fell in love with the festive looks as they are just too much fun. I had seen them online but in real life they are even more amazing. #IAMACHRISTMASTREE – that is the message. Love it so much! 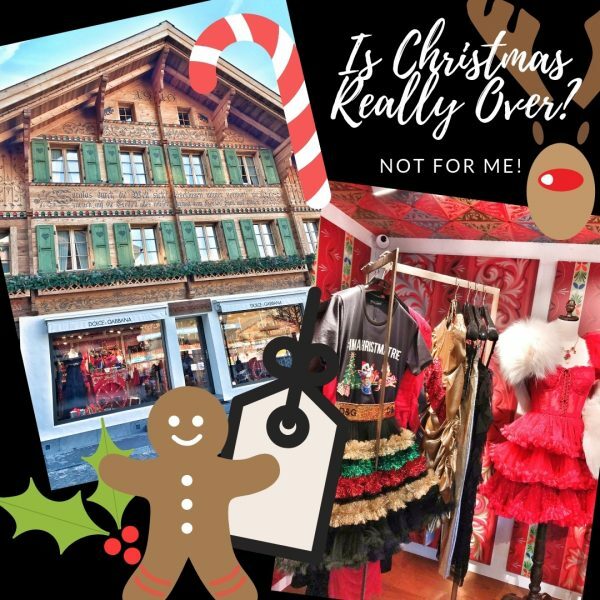 And let’s be honest, with so many Christmas celebrations coming up every year – it would be a great investment… sorry or an excuse for shopping! From left to right: Tulle top, flounce skirt in tulle, cashmere sweater with inlay, Christmas sandals, and printed T-shirt. 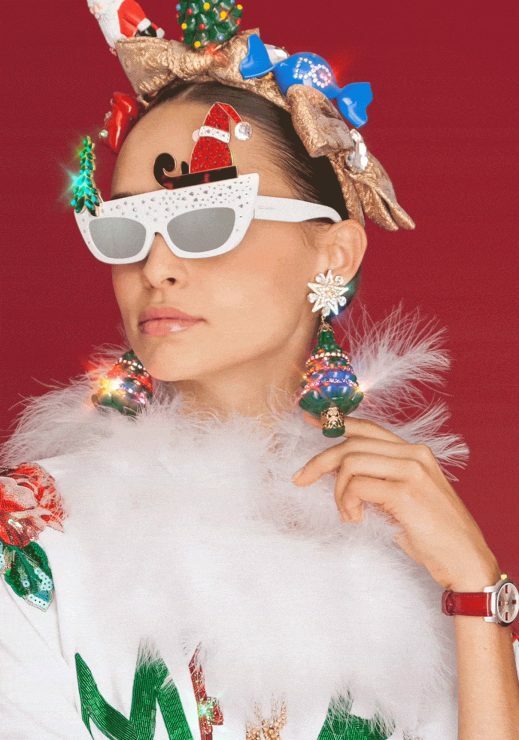 Don’t miss the DG SANTA CLAUS sunglasses that are an exclusive online store limited edition with only 30 pairs are available. The white frame of vintage inspiration recalls snowy winter landscapes and it is embellished by traditional Christmas decorations. The ultimate stylish accessory for your festive look.